Spearmint tea is perhaps one of the most popular types of tea in the world today. Millions consume it and savor it for its refreshing, minty flavor and aroma – but it is not just for taste. This tea also has health benefits associated with its use that make it attractive for therapeutic ingestion. If you want to know more about this type of tea, then read on. In this article I will tell you all you need to know about this delicious beverage and the advantages it offers to you. 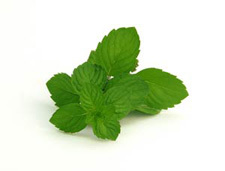 Spearmint tea is made from the spearmint plant, also known to botanists as Mentha spicata Labiatae. This plant was originally cultivated in the Mediterranean region (although it is also grown in Asia and has been introduced to North America). The ancient Romans actually adored this plant for its aromatic and flavorful properties, particularly its refreshing, soothing taste that revitalizes the mind. After centuries of being traded back and forth along the popular trade routes, spearmint was eventually brought to the New World and started to take its place among the favorite herbal teas of the day. To make spearmint tea, you simply take dried spearmint leaves and pour boiling water over them, much like regular tea. In fact, you can purchase commercial spearmint and use it to make tea with the same equipment as brewed iced tea or any other drink that is similar. You can also find this drink in a wide variety of places, including several specialty coffee and tea shops. This drink is equally delicious whether it is hot or cold, and there is no need to add sugar or any other additives to increase its flavor. Plus, unlike other forms of tea, the kind made from spearmint is caffeine-free. And if you are worried that the taste is too strong, do not worry – it is not nearly as strong as peppermint. This drink is not just for your taste buds, though. As mentioned, it has numerous benefits for the body as well. Spearmint tea has been known to soothe the body, particularly the digestive system. It is a nice natural remedy for indigestion, stomach ache, nausea, and heartburn. You can also use this beverage to help combat morning sickness while pregnant. Most people tend to consume this drink to not only help with digestive issues, but to also relieve stuffiness and congested sinuses when sick – due to the strong, healing aroma put off by a hot cup of tea. For women who suffer from hirsutism, drinking tea made from spearmint can also be a blessing. Hirsutism is a condition in which women grow hair on the face, breasts, and abdomen. Researches say that this is a result of too much androgen, which is the hormone that is associated with masculinity in males. Drinking enough tea made from spearmint has been shown in some studies to reduce the level of androgen in the body – which in turn helps slow or stop the hair growth on a woman's body. As you may or may not realize, such hair growth can be very socially awkward; therefore, this tea potentially offers a very valuable service to affected people. In summary, spearmint tea is known worldwide for its fresh, invigorating taste and refreshing aroma. The health benefits are nothing to laugh at, either. The next time you have a stomach ache, or feel nauseous, or just need to relax and calm down after a long day, make a cup of tea from spearmint and let the soothing tastes and smells work their magic. Spearmint is one of those herbal teas that is definitely worth a shot – so go and try a cup today!